What can we expect from the property market in 2014? Welcome and thank you for reading our first Street News property forecast/review for 2014. This wrap is a bit special in that we will attempt to decipher what the experts see happening in 2014 and what this will mean for property buyers and sellers. We will also look at and review what happened in 2013 and where the property market finished at. Of course, as with any forecast, the expert arguments put forward are based on assumptions, some of which will come to fruition and some which won’t. After all, if we knew what was going to happen in the future we’d all be in the Bahamas sipping piña coladas, right? Like in any other year, we can expect to see a plethora of news and hysteria as the ‘real estate football’ gets kicked around again at the expense of the consumer. And as property prices in major capital cities rise, calls that we are entering another property bubble will become louder, and calls for affordable housing will resurface yet again. So let’s get on with the facts and try and make sense of any emerging trends, focusing on the drivers that will actually affect property values – global economies like the US, China and the Eurozone – and local factors such as the strength of our economy, unemployment, interest rates, consumer and business confidence, and the demand and supply of property. What Are The Emerging Trends To Consider in 2014? The good news is that experts are predicting a ‘steady as she goes’ property market this year as opposed to the strong growth experienced last year, particularly in Sydney, Melbourne and Perth and Brisbane. According to RP Data’s December 2013 year-on-year figures, house values across the combined capital cities finished up 9.8 per cent last year. Melbourne recorded a healthy 8.5 per cent growth in December after slumping to 6.3 per cent in November, Perth rose a healthy 9.9 per cent, and Sydney was the standout performer following a staggering 14.5 per cent rise. However, the most interesting figures were not those recorded last year, but those predicted by SQM’s Louis Christopher for 2014. He stated in Business Spectator that he expected Sydney’s growth to rise by further 15-20 per cent, while he sees Melbourne house values at a more subdued 4-7 per cent. This prediction seems to reflect the chronic shortage of property available in Sydney as opposed to Melbourne, which is considered balanced. Also in Melbourne, RP Data noted that the price growth of units (8.7 per cent) outstripped the growth of houses (8.5 per cent), a trend experts believe will continue in 2014 for two reasons – 1) investors will continue to drive the property market and purchase units, and 2) gross rental yields for units were higher at 4.2 per cent compared to 3.4 per cent for houses, making them an attractive investment. But not all commentators see such optimism in the market. In Melbourne, house values are 33 per cent higher than they were in 2008, and capital growth has outpaced rental growth, making this result the lowest gross yield environment for any capital city in Australia. Based on this, the overall expectations for 2014 are very different than those experienced over the last 18 months. 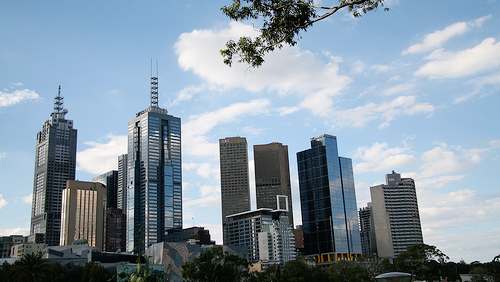 Some commentators see growth rates across Sydney and Melbourne as unsustainable. There is an expectation that capital gains in Melbourne and Sydney will be lower. Other concerns about the unevenness of the Melbourne property market were expressed by BIS Shrapnel senior property analyst Angie Zigomanis. Mr Zigomanis says that most of the growth occurred in the inner and northern suburbs, while outer suburbs had been flatter. Although, according to SQM Research, the availability of listings has fallen for both houses and units in Melbourne, there is still that unevenness as some areas are experiencing strong bidding and prices. There are still many areas, particularly outer suburbs, where supply substantially outstrips demand, leading to longer days on market and flat or falling house prices. After speaking with a number of real estate agents over the Christmas break in the inner to middle suburbs (in particular inner Melbourne, north, north east and east of Melbourne), the general sentiment was that demand was strong over the Christmas period, and listings are expected to be strong over the first quarter of this year. A large part of market performance will be influenced by unemployment and interest rate levels. Should we begin to see deterioration in unemployment levels nationally and at state level, we can expect this to affect mortgage arrears and property prices, especially in the first home buyer/mortgage stress sensitive suburbs. However, unemployment rates appear to have been revised back from an expected 6.5 per cent in 2014 to 6.0 per cent. On the global front, the IMF has recently revised its forecast upwards for global economic growth. Globally, there appears to be a recovery in the US economy with the Quantitative Easing stimulus being tapered on the back of positive consumer and housing data. There is more certainty that the US will be able to navigate itself back to more normal conditions over the next 12 months. Scott Haslem, the UBS chief economist for Australia, is bullish in his predictions that the US economy will record a 3 per cent growth for 2014. Why is the US economy so important to Australia? 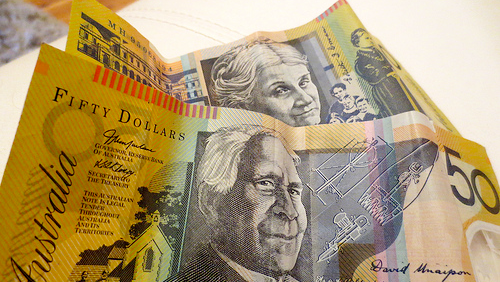 The end or the coming end of quantitative easing will mean that the Australian dollar should decrease in value, possibly as low as $US0.80 cents. This will help stimulate exports such as tourism, education, manufacturing, iron ore, coal and gas; all major industries in each of the respective states. CommSec Chief Economist Craig James also highlighted our potential economic growth in exports and the importance of the Australian Chinese partnership. So What’s Going to Drive Property This Year? Many commentators see this year as a year of consolidation, when site drivers like investors with Self Managed Super Funds will drive the bottom end and new or off-the-plan market. Although first home buyers represent a meagre 8 per cent of property buyers, they have sat on the sidelines for quite some time now. As all of their government incentives are for new property rather than established, RP Data expect this market to look at smaller sized property with low maintenance prospects and strong infrastructure located within the inner city. There is already a trend emerging where first home buyers are becoming investors before buyers for a principal place of residence. As capital growth increases and the ability to save for a deposit slips away from ‘generation rent’, we can expect to see further changes and variations in this segment of the market. Don’t underestimate the power of the ‘wealth effect’. According to many property commentators, recent capital growth in property values has made the Australian population feel wealthy, adding to consumer sentiment and giving people the confidence to invest for their future. Supporting this positive public sentiment regarding property, the ING Direct Financial Wellbeing Index has found the proportion of borrowers uncomfortable with their mortgage is 5 per cent, the lowest since the bank began tracking the statistic. And those with a mortgage are paying it down quicker, with 49 per cent saying they were paying ahead on their home loan. The Index also found that households remained in sound financial shape heading into the final quarter of 2013. The Index remained steady at 110.8, a marginal decline from 111.5 in Q3. Twenty-one per cent of households felt their biggest achievement in 2013 was staying on top of their debt. Interest rates have been a major driver of property prices in the past, and 2013 was no exception to this. The economists range in their views as to whether there will be a 0.25 per cent cut or a 0.25 per cent lift in rates by the end of 2014. Either way, interest rates are and have been at 60 year lows for quite some time now. Assuming there are no dramatic global or local changes to our economy – and more importantly to our unemployment rate going upwards – economists say that interest rates are expected to stay low for 2014 and should continue to stimulate the property market. Of course when it comes to investment, it’s about identifying the quality of the investment. There are already markets in Melbourne where property price growth is achieving double digit growth, while other blue chip areas are seeing the majority of their population in mortgage stress. Prudent analysis and advice must be sought and undertaken on the suburb and street you intend to purchase in, and you must research your property type to ensure there is a rental market for your property if it’s for investment purposes. We are becoming increasingly concerned regarding the amount of property misinformation in the industry, and the rise of the spruiker. If an investment is too good to be true, then it often is. There are many examples of people running seminars, providing advice or advocacy who have a clear conflict of interest, i.e. they own the stock in the area they are promoting and or are receiving hefty commissions anywhere from 3-7 per cent on the purchase price of the property. Finally, many so-called advisors have little or no real estate experience, are not qualified to give property investment advice and provide no independent analysis on their recommendation. Please keep this in mind during your property investment journey. Melbourne Property Market Update – January 4, 2014 Melbourne Property Market Update – January 11, 2014 Melbourne Property Market 2013: Steady Recovery Overall First Home Buyers to Surge in 2014 Despite Rising House Prices Where’s The Melbourne Property Market Heading? Melbourne Property Market & Prices > Melbourne Property Market Updates > How Will The Property Market Perform in 2014?